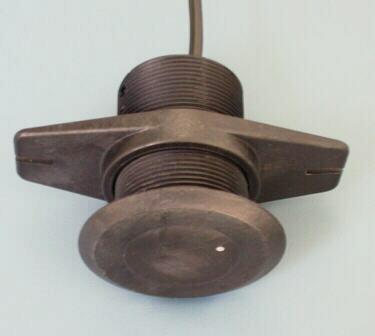 The CruzPro DSP (Digital Signal Processing) active transducers output NMEA 0183 serial data of depth and water temperature. Numerous models suit most applications requiring NMEA $SDDPT, $SDDBT and $SDMTW depth/temperature data. The DSP technology used by the CruzPro active transducers provide for reliable depth tracking to over 1000 feet (300M). The DSP technology also provides superior high speed operation by reducing the high speed ringing effects of transducer buffeting and slap. 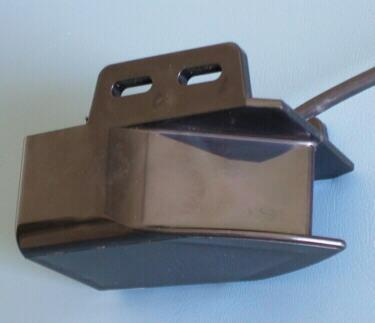 These active transducers operate at 120khz to prevent interference with other nearby depth sounders and fishfinders and are immune to the effects of other depth sounders and fishfinders. 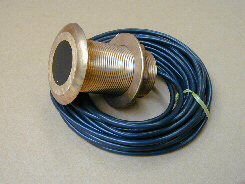 Just connect 12V to the 30 foot (9.7M) cable and connect the NMEA 0183 data wire to any NMEA compatible instrument, computer or NMEA data repeater. The ASCII NMEA 0183 information can be used to log depth and water temperature, repeat the display information at a remote location (see www.cruzpro.com/rp30.html, www.cruzpro.com/rp110.html or www.cruzpro.com/maxrp110.html).